Seven-year-old Natividad Sánchez Ventura is the youngest of ten children. Every morning, her mother María heads out before sunrise to sell seafood at the market in San Marcos, El Salvador, while her older sisters finish their morning chores and her father José takes the youngest children to school. After school, Natividad and her siblings return home where their mother is either cooking or washing clothes, while their electrician father makes his house calls. But heading outside to play isn’t an easy option for these children. The area is known for its high rates of homicide, gang violence, and crime. If the children stayed nearby to play, they would be putting themselves at risk of harm. “There’s not much room at home, our street is quite dangerous and when the children wanted to play with other children, they had to go far and we had no idea where they were,” says María. Then 18 months ago, an invitation from the Mayor’s office to attend free swimming lessons changed everything. The invitation to join weekly sport activities was extended to all children in San Marcos as part of a violence prevention project, supported by UNICEF. Now, more than 1,000 children participate in activities two to three times per week. “We decided to let them attend the centre so that they could learn to swim,” says María. She had no idea how well they would learn. Their coach, Wilson Galán, says the sport came naturally to Natividad and her siblings. The children have now accumulated a collection of 47 medals in different local and national competitions. “Their results took me by surprise because in two months they had already mastered all the styles pretty well,” he says. The children have now accumulated a collection of 47 medals they have won in different local and national competitions. 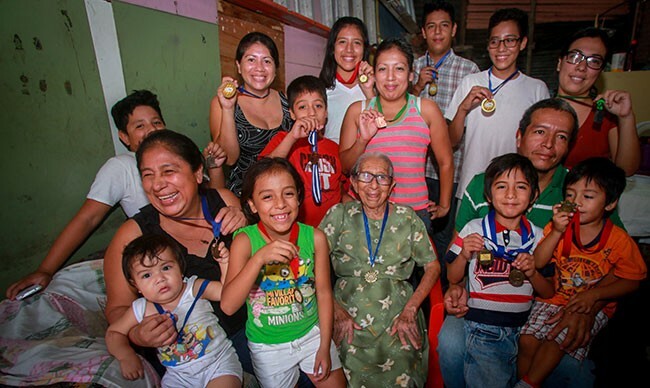 For Natividad, who has won 8 of the medals, these triumphs have boosted her confidence. “I feel very excited when I hear my family rooting for me ‘go, go, go’ and I keep my strength till the end,” she says. The region’s has brought in a number of programmes as part of its violence prevention strategy, including child protection classes and educational workshops for children and parents. “In these workshops, she can spend time with other children who are learning just like her, and we get to meet other parents with whom we can share new ideas,” says María. A scholarship through the programme also covers some of Natividad’s school expenses. “For us, a large family, this is of great help so that she doesn’t stop going to school,” says José. 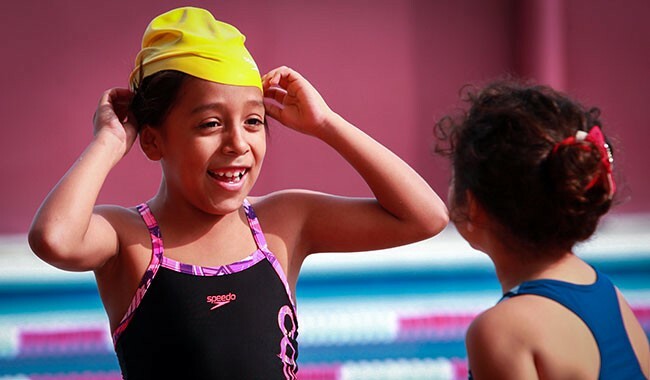 Playing sports has has been good for their children’s health and minds, says María. But for José, one of the greatest benefits of the programme is that it keeps the children safe from gang violence.